My husband and I put up our Christmas tree the other night. 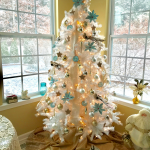 We have a sort-of ritual of putting up the tree, in that we put on some Christmas carols, break out the egg nog (with freshly ground nutmeg on top, of course), and take our time decorating the tree. Our Christmas tree is a faux Alpine tree, which means it is thin and tall – ours is 9 feet tall. First, I fluff up and twist and bend all of the branches into place, which always ends up taking longer than I think it will, but it does make a difference in how it looks. My husband sips some egg nog while I do this. Next, it’s his turn to put up the white Christmas lights on the tree while I take a break with some egg nog. 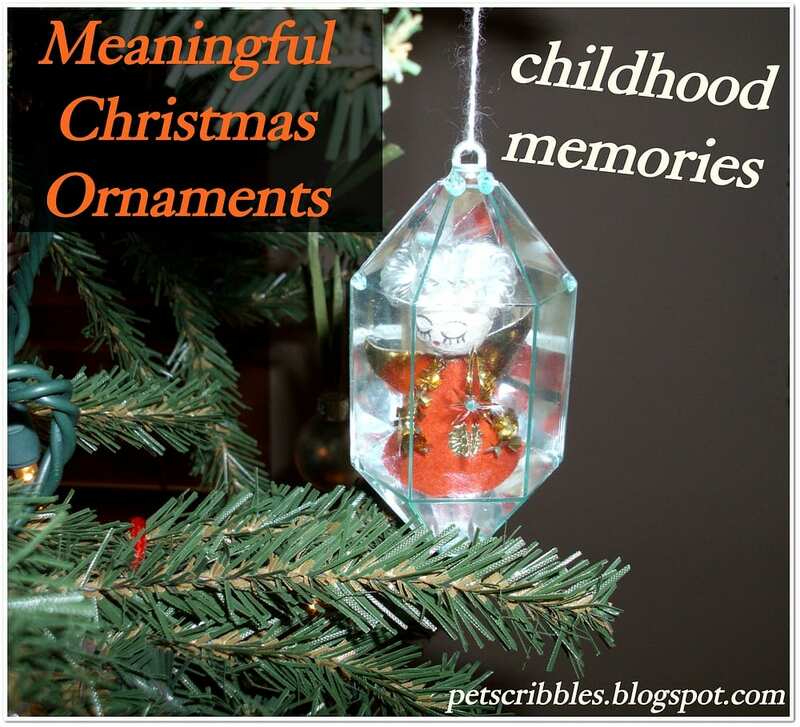 When we’re ready to begin putting our ornaments on the tree, we always start with the ornaments from each of our childhoods. I thought I’d share some of these here with you. This red ornament (above) was part of the same set that from my mother-in-law. 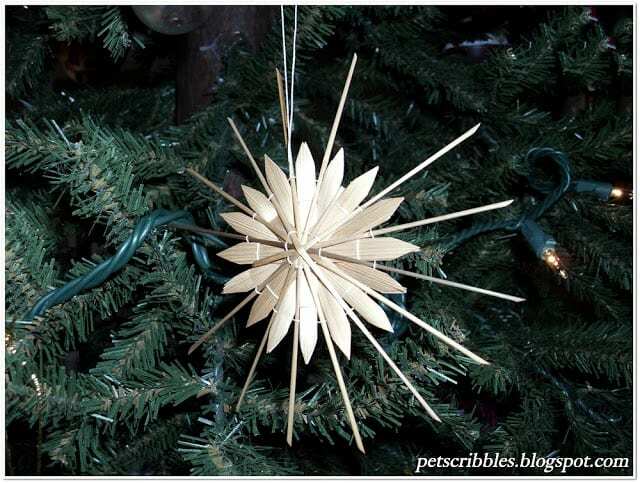 Is it just me, or do the details and artwork on vintage ornaments somehow seem much more intricate? 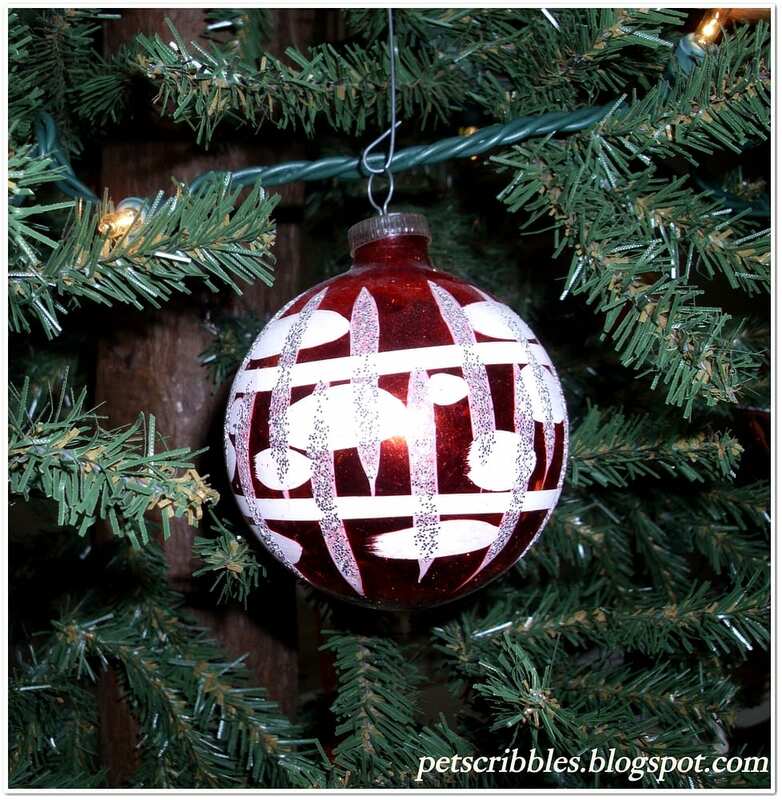 I love the layers of white paint over the metallic red, with the silver glitter swooshes on top. 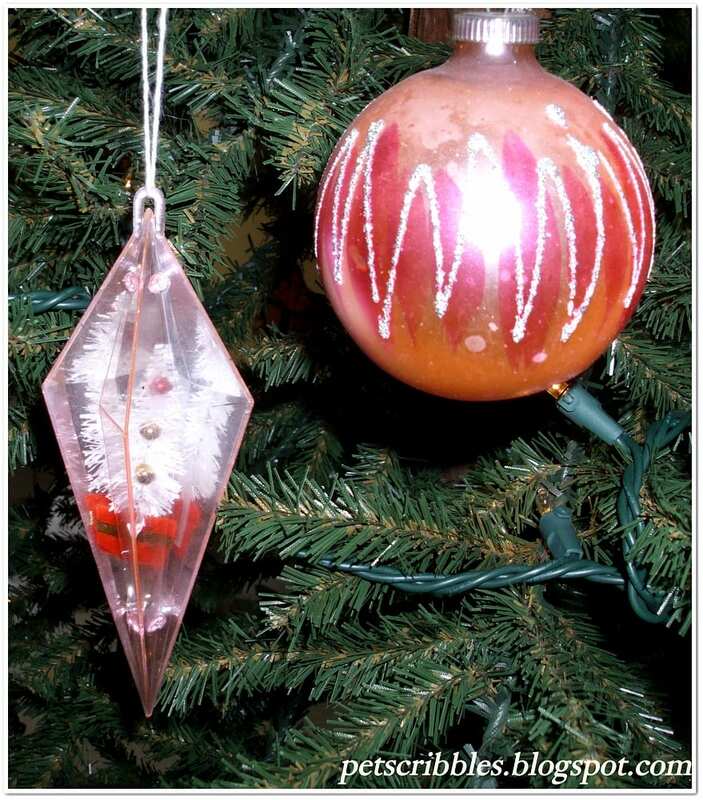 My parents have enjoyed several vacations on the island of Bermuda over the years, and after one such trip they gave us this Bermuda ornament with the infamous pink sand inside. This ornament took on special meaning when, after my beloved father-in-law passed away shortly after that Christmas season, we went on a cruise as a family group with my husband’s siblings and their families as a way to honor their dad who had always wanted us to go on a group vacation together. And so, just a year after receiving this ornament as a Christmas present, it became a cherished ornament on our tree for many sentimental reasons. And here’s another of the vintage Jewel Brite ornaments (like the pink one you saw earlier) that hung on the Christmas trees of my childhood. I used to think this little angel was a doll that I really wanted to play with. Since I couldn’t take her out of the ornament, I would talk to her and make up stories about her. Don’t judge me, I was an imaginative child! 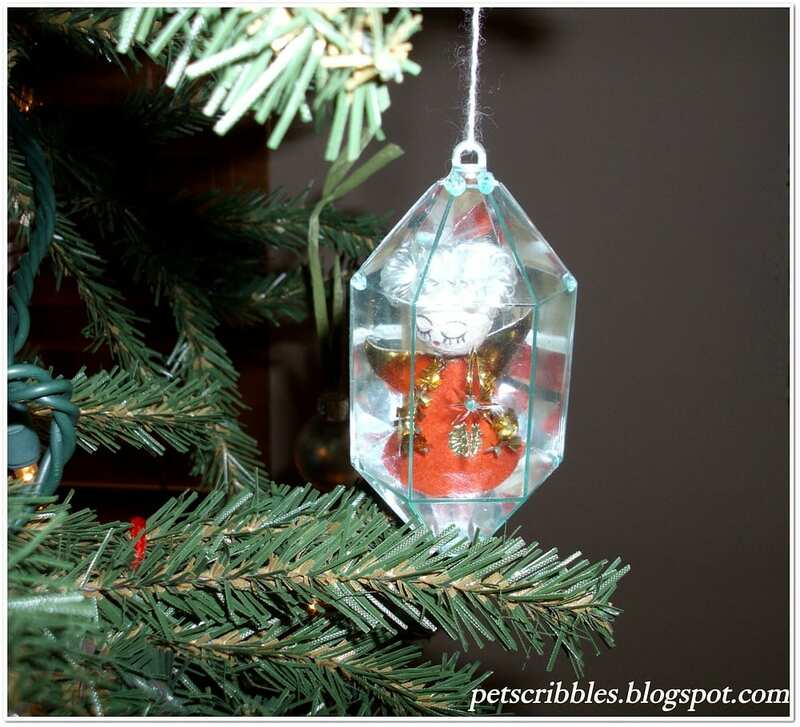 These Jewel Brite ornaments, made in Japan, were very popular in the 1960’s. 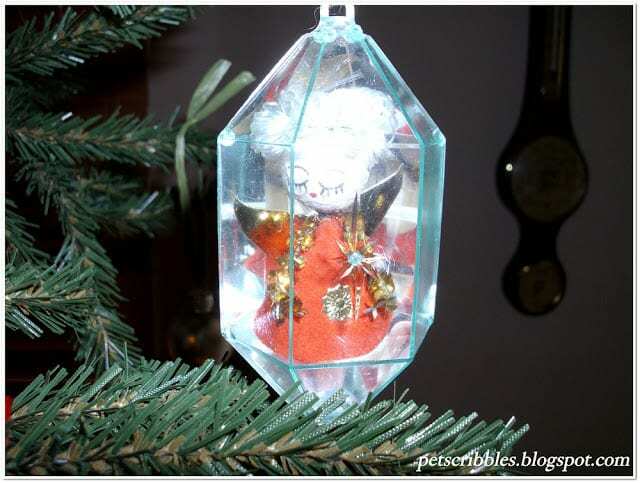 Do you have any ornaments from your childhood? 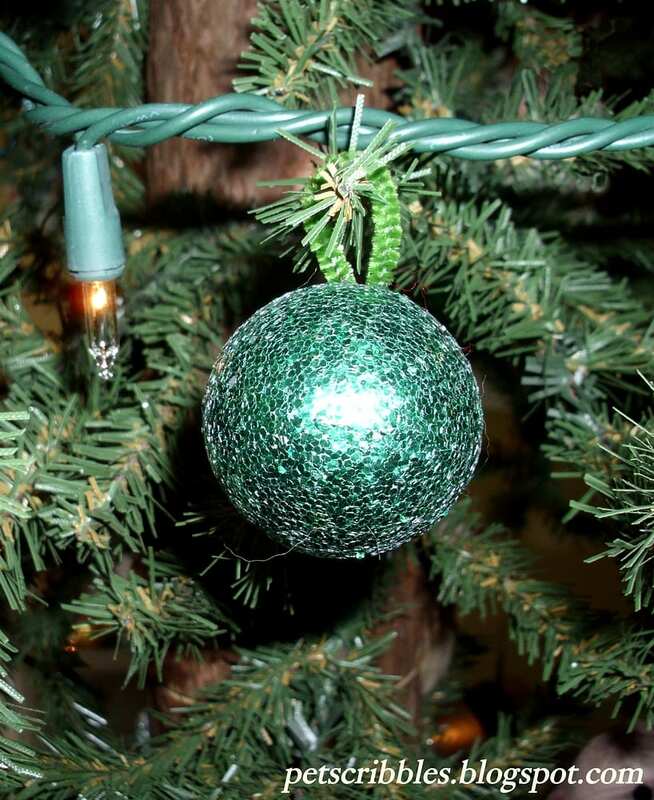 What about any traditions centered around your Christmas tree decorations within your own family each year? 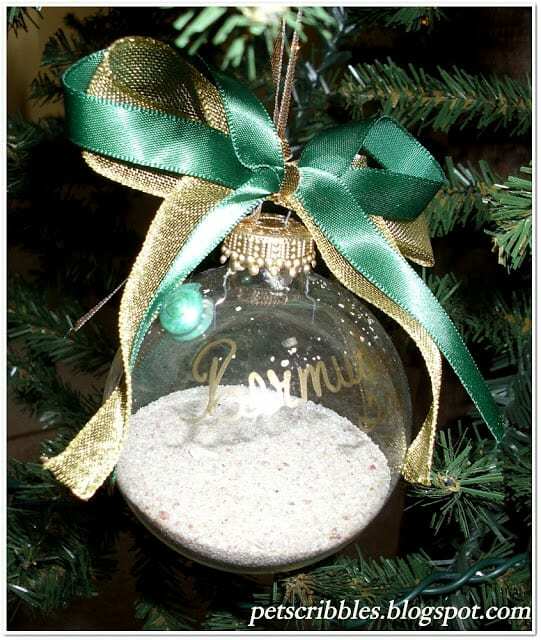 Stay tuned as I’ll be sharing a few ideas here soon for starting and creating your own meaningful Christmas ornaments for your families. Garden Breakfast Room All Decorated For Christmas! 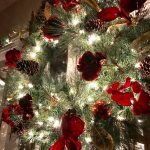 Elegant and Festive Christmas Wreath and Garland at Night! 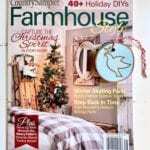 Farmhouse Style Magazine Shares My Dove Ornament! Are we related? I just dug out my shoe box full of my ornaments that I made when I was little. The blog post continues to stay in draft form because keep finding more and more to share. Even a tiny stocking we had when our four legged ones were puppies. What a great tradition. oooohhhhh!!!!! I can’t wait to see them, Jennifer! How have I never heard of Jewel Brites? So fun to have Christmas memories. I hang lots of my old ones and my hubs too and have many vintage shiny brites that I love. 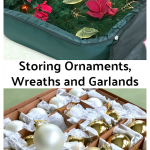 We give our girls ornaments every year – one day they’ll take them when they move (sob!) 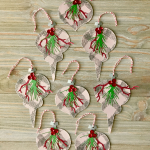 and have their very own vintage ornaments! You’re welcome Ursula! I still want to make these using your tutorial. 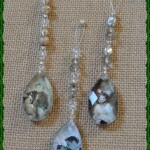 Making these with your mother as a child must be a very special memory for you!